Prince Charming Toad For Gypsy Fairy Gardens. Full Description: Every enchanted forest needs a prince! 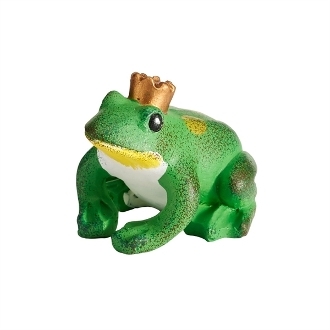 This frog prince was designed by artist Genevieve Gail and features hand-painted details with all-weather paint.